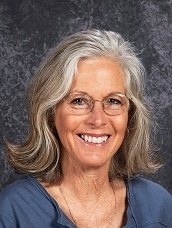 Hello: I am the counselor for Fiddlers, South and Escalante Valley Schools. I am a resource that is available to help your child become more successful in school socially, emotionally and behaviorally. I teach character education lessons in all the classrooms. Some of our themes this year are: Conflict Resolution, Positive Attitude, Safety, Courtesy, Respect, Hard Work, Kindness, Self-Discipline, Gratitude, Honesty and Friendship. I also offer support groups for children who need extra help with specific issues. These groups are listed on this web site. I can occasionally offer individual counseling (when requested) but have found group sessions to be more effective. I am trained for crisis intervention and have access to the Iron County Crisis team and other community resources that are available to assist families. I help promote a school wide PBIS program (Positive Behavior Interventions and Supports). This program builds community and promotes healthy relationships among educators and students by teaching social, emotional and conflict resolution skills. It is hoped that these assemblies will encourage our students to practice empathy for others and learn to own their part in problems that occur with classmates. I also teach Love and Logic classes for parents in the evening. These classes promote responsibility and accountability in our children. Please feel free to visit me at school. I will be happy to help you in any way that I can.